Vulcanic drum heaters and heating belts are designed for heating and maintaining the temperature of metallic or plastic drums or containers containing fluid or viscous products (water, oil, wax, grease, bitumen, tar, etc.). Metallic heating belts, with a power of 1000 to 2500W, are light, sealed and robust and are placed on the smooth, non-grooved parts of the drums. They have a large surface area which prevents any product carbonisation (load ≤ 1W/cm2). Installation is easy when the drum is positioned vertically. 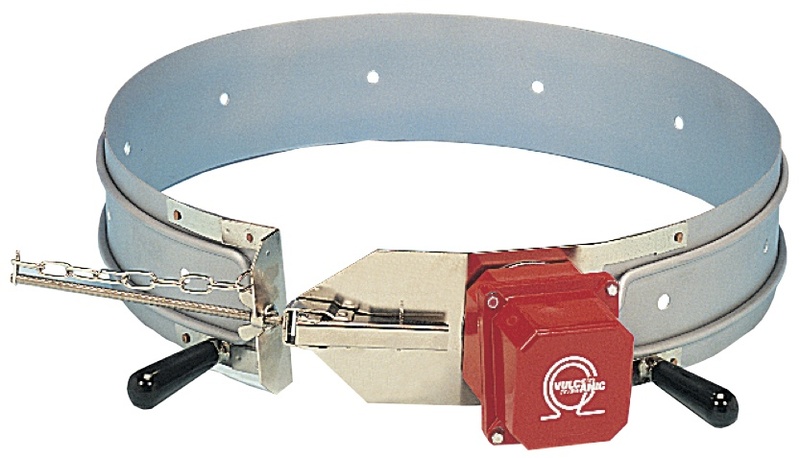 They are clamped with a device that can be adjusted to the diameter of the drum. 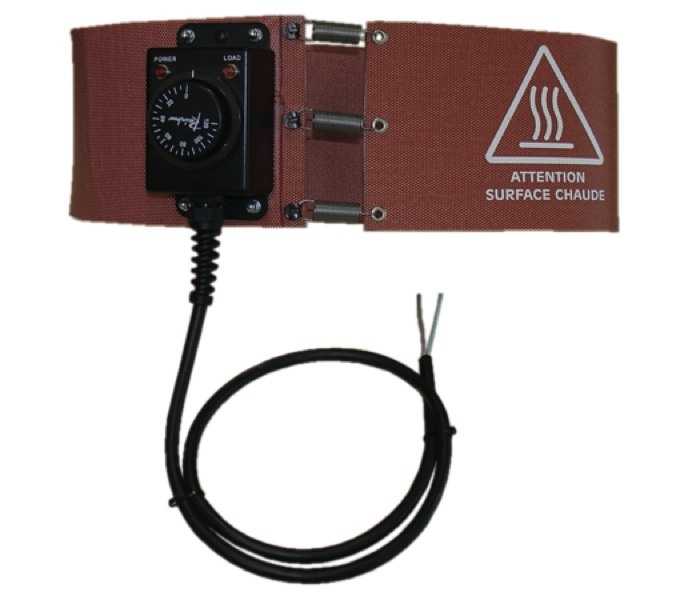 Metallic heating belts can be equipped with a thermostat, which can be set to 0/200°C. Flexible heating belts, with a power of 300 to 1500W, are composed of an electric resistance wire housed in a silicone panel. Flexible, with high mechanical strength, they are suitable for heating metallic drums from 25 to 200 litres depending on the model. Flexible IP43 heating belts are equipped with a thermostat, which can be set from 0/120°C, a 2m power supply cable and hooks and springs for quick and easy installation and removal. 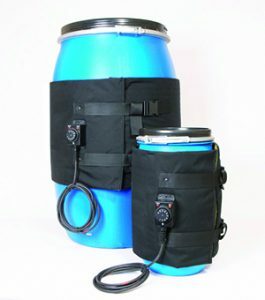 Drum heaters for plastic drums are specifically designed to melt or reduce the viscosity of soap, greases or oil-based products. A heating wire with a power of 200 to 450W is stitched into a Teflon/polyester insulating sheath. 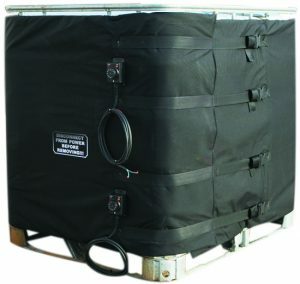 Drum heaters are equipped with quick release clips, a 0/90°C thermostat and a 3m rubber-sheathed power cable. Container heaters enable a 1000 litre tank (IBC type) to be kept frost-free and its temperature to be maintained. Container heaters comprise two 1000W independent heating zones, each having a 0/90°C thermostat. Class 2 double insulation design. Adjustable quick-release clips allow easy installation and removal by a single person. As an option, it is possible to provide a lid to insulate the top of the tank. Vulcanic drum heaters and heating belts are designed and manufactured either as part of our standard range or as a customised solution (power, voltage, instrumentation, installation mode, etc. ).